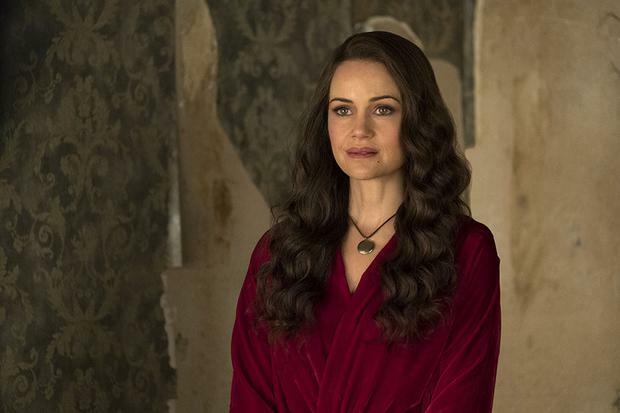 The year's most frightening TV show has plenty of traditional scares up its dark, billowing sleeves. There are zombies, creepy ghouls leaping from the dark, a chap without a face wearing a bowler hat and hanging in mid-air, Exorcist-style. So far so nightmarish. 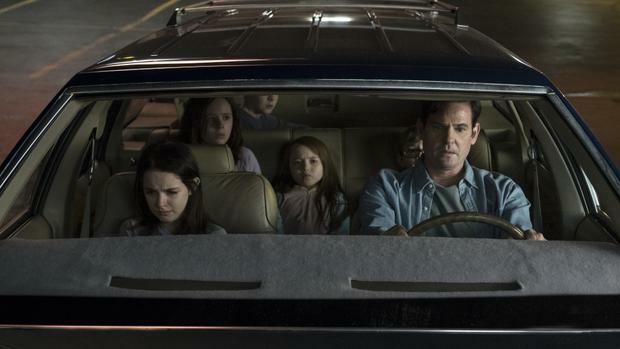 But it's as a psychological thriller that the Netflix smash The Haunting Of Hill House really gets its claws into you. And it truly has grabbed hold of viewers. 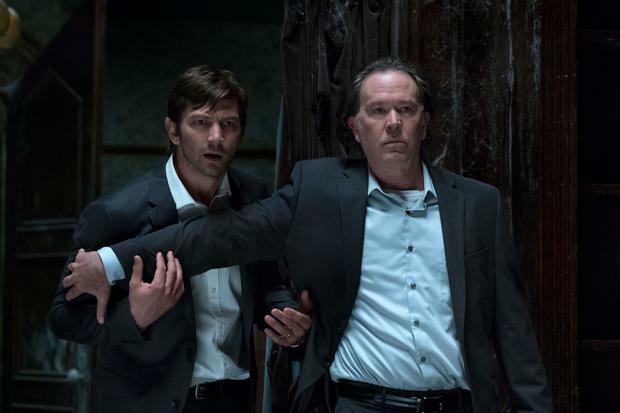 While Netflix declines to release viewing figures, all the evidence is that Hill House is one of the streaming giant's biggest smashes since Stranger Things. The moment all 10 instalments were released on October 12, the internet began to churn with theories, rumours and squeals of terrified delight. What was the true nature of the red room? Were the monsters on screen real or imaginary? Which episode finally drove you over the edge and behind the sofa? Some viewers were so spooked, they took to Twitter to declare they were on the verge of throwing up (thanks for sharing). No less a figure than doyen of modern uncanny fiction, Stephen King, weighed in. "I don't usually care for this kind of revisionism, but this is great," he tweeted. When the guy behind the scary-clown-in-the-sewer from IT approves, you know you've struck the horror mother-lode. The outpouring of enthusiasm is remarkable. With a handful of exceptions, horror tends not to work in TV. How often have you parked on your couch only to be overwhelmed with existential dread recently? (Apart from watching Ireland at soccer, obviously). 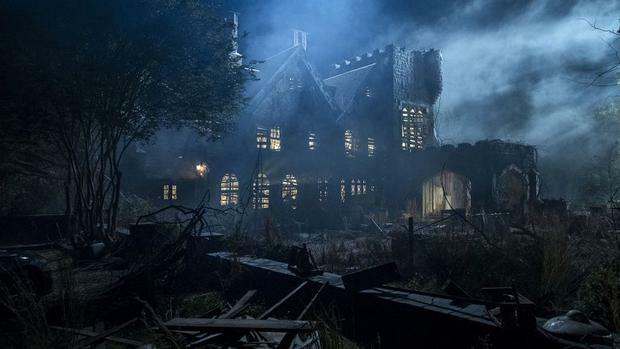 But that is just the suffocating sensibility Hill House - adapted by writer-director Mike Flanagan from the classic 1959 Shirley Jackson novel - evokes. The focus of the story is the Crain family - siblings who have become estranged across the decades but are united by a shared childhood trauma. In 1992 their parents moved them into a creaky old mansion with the intention of fixing it up. They didn't reckon with the property being possessed by a demonic presence. The Crains got out - but still bear the scars of the incident. Which brings us to the really subversive aspect of Hill House: for all the gothic touches, this is, at heart, a study of PTSD. "Mike has created a show about a family dealing with childhood trauma," says Oliver Jackson-Cohen, who plays the drug-abusing black sheep of the family, Luke. "People who tune into the show knowing nothing may expect a cheap scare. What Mike has cleverly done is taken these 10 hours and told a story about being confronted by our pasts - which is inherently scary to us all." Horror on television is required by definition to differ from that on the big screen. A movie can shred your nerves with jump scares and gross-out violence. But over 10 hours, such gimmicks lose their effectiveness. So TV has to do something different. "It's a lot slower at the beginning," says Jackson-Cohen. "It is just building and building and there's this ominous tension. You want to know what happened to the family on that final night in the house. Mike has been very brave. He holds back. He says, 'no, first I'm going to delve into these characters'." "It's a kind of genius. I think people may initially wonder, 'what the hell is going on here?'. The show builds and builds and is ultimately terrifying, but also very moving." The house is a metaphor, he says. It symbolises the formative trauma that ripped a hole in the Crains' psyches. Anyone who has gone through something distressing will recognise the pain of trying to move on - and how lengthily the shadows of the past can lie. "That's what the house represents - the awful thing that will never let you go. Once you're in the house, it will forever hold you captive, even if you're not living there. It will forever follow you." The nine-month shoot was incredibly challenging, the cast report. "You have to kind of kid yourself into thinking these things are happening," says Jackson-Cohen. "You are feeling that in your body. Your mind knows it's not real. Your body honestly doesn't know the difference. There was a period I stopped sleeping." "It's been hard to shake off," he continues. "We finished in June and part of it is definitely still with me."